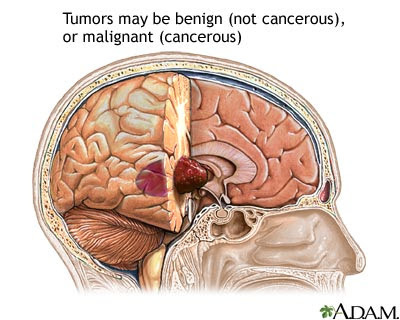 Grade IV Glioblastome Multiforme (GBM) is the most deadliest of brain cancers around. Unfortunately it is also the most popular of the gliomas. A glioma is a tumor that starts in the brain or the spine. These gliomas are categorized into grades. From grade I (least advanced disease — best prognosis) to grade IV (most advanced disease — worst prognosis). Glioblastoma multiforme (GBM) is a group of tumors that arises from the glia, which are non-neuronal cells that maintain homeostasis. These form myelin, and provide support and protection for neurons in the brain within the central nervous system (CNS). A patient diagnosed with GBM is given 12 to 18 months to live. Johns Hopkins researchers have discovered that a protein that transports sodium, potassium and chloride may hold clues to how glioblastoma, the most common and deadliest type of brain cancer, moves and invades nearby healthy brain tissue. The findings, reported in the journal PLoS Biology, also suggest that a cheap FDA-approved drug already on the market could slow movement of glioblastoma cells, and contain their spread. "The biggest challenge in brain cancer is the migration of cancer cells. We can't control it," says study leader Alfredo Quinones-Hinojosa, M.D., an associate professor of neurosurgery and oncology at the Johns Hopkins University School of Medicine. "If we could catch these cells before they take off into other parts of the brain, we could make malignant tumors more manageable, and improve life expectancy and quality of life. This discovery gives us hope and brings us closer to a cure." Glioblastoma, which is diagnosed in roughly 10,000 Americans each year, is so aggressive that the average life expectancy after diagnosis is just 15 months, Quinones says. The cancer spreads to healthy brain tissue so quickly and completely that surgical cures are virtually impossible and advances in radiation and chemotherapy have been slow in coming. In a search for ways to prevent or limit the spread, and stop lethal recurrence of the tumor, the Johns Hopkins researchers focused on a protein called NKCC1 in human tumor cells in the laboratory and tumor cells injected into mice. NKCC1 transports sodium, potassium and chloride ions, and regulates cell volume. Quinones-Hinojosa and his team found that cells with more NKCC1 appear to move farther because the protein made it easier for tumor cells to grab onto other cells and tissues in the brain and propel themselves through tissue. The more of this protein in the tumor cell, they discovered, the faster the glioblastoma cells were able to travel. When NKCC1 was absent, they noted that the cells had larger focal adhesions, which allow for Velcro-like attachment to surrounding cells. Larger adhesions, he says, appear to keep the cells more anchored in place, while smaller ones made cells more mobile and allowed for more migration. In their experiments, the researchers blocked the protein and were able to slow the migration of the tumor cells. Less mobility, Quinones-Hinojosa says, means less invasion of surrounding tissue. To block the channel, the team used the diuretic bumetanide, a simple water pill routinely used to reduce swelling and fluid retention caused by various medical problems. Added to either tumor cells in the laboratory, or to human tumor cells in mice, the drug blocked the NKCC channel and slowed the pace of cell movement. If the cells were made less invasive, Quinones notes, tumors also would be easier to surgically remove. The researchers were also able to correlate human tumor grade with levels of NKCC1. Less aggressive tumors, they discovered, had smaller amounts of the protein, while more aggressive tumors had more. This suggests that NKCC1 may not only contribute to the increased invasiveness of higher grade tumors, but also serve as a potential marker for diagnosis.